Comcast Cable Communications Management, LLC, through its contractor, Mom Central Consulting, provided a promotional item as a thank you to the blogger who made this post for participating in this campaign. The opinions and experiences expressed in this Comcast Xfinity post are solely the bloggers opinions, based on the blogger’s experiences and do not reflect any positions or opinions of Comcast Communications Management, LLC. There is a lot of WAITING to be done when you are a child. They wait in line at school, they wait at the tennis court while their sibling finishes a lesson, they wait in the car while you drive to grandma’s house. My kids are teens/tweens and I am pretty sure they are just as bad about waiting now as they were when they were 2. In fact, I think they are WORSE now….at least when they were 2 I could distract them with pretty flowers and the ABC song. Show teenagers a pretty flower and all I get is an eye roll! However, Comcast Xfinity has a great solution to the frustrated waiting of your children and I got the chance to explore some of their services recently that I thought I would share. 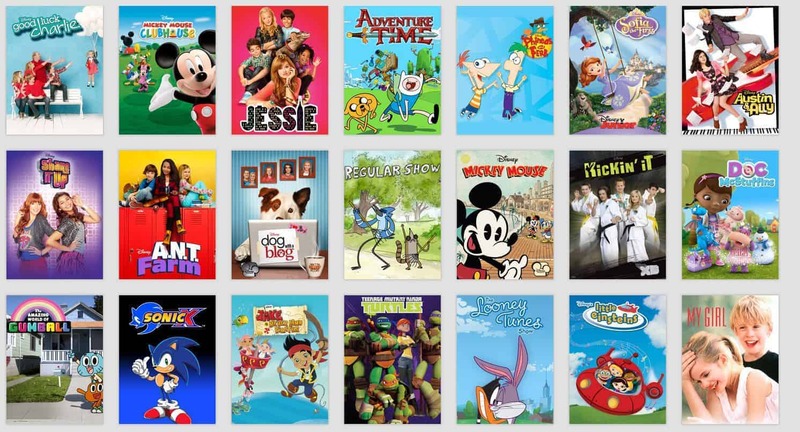 Comcast Xfinity has an amazing selection of kids shows that are available on multiple screens and devices. No, you do not have to be at home in front of your TV to distract your fidgety kid! For younger kids, they have a great selection of popular cartoons but since I have slightly older kids, I was happy to find things like Austin & Ally, Jessie, and Good Luck Charlie. Those are some of my daughter’s favorites. The Comcast Xfinity On Demand’s catalog has over 1,000 downloadable kid-friendly shows so your kid will never have to watch the same thing twice! So, what if you are not at home with your convenient TV or wifi signal to download or play the programs? The Comcast Xfinity TV Player app lets you download content directly to your mobile device for offline viewing. Once you download the show, you can disconnect and still watch that content on the go. So, you can load up your iPad with cartoons to take to the soccer field or save tons of good shows on your teen’s Kindle for the next family road trip. We have used Comcast Xfinity on Demand for years. It is the only way my kids actually watch TV any more. Hectic schedules mean that they are rarely home at just the right time to watch their favorite TV show. Now, with the Comcast Xfinity mobile app, I can take that convenience with me even when there is no WiFi. Like at Grandma’s house. My kids seriously don’t understand why Grandma doesn’t have WiFi! The app is incredibly easy to download and navigate thru. You can learn how to download content with the Xfinity TV Player app through their how to slideshow. If you have small children and are worried about what they may accidentally click on in the app, you can stop worrying because there are built in parental controls that allow you to filter what your kids see. 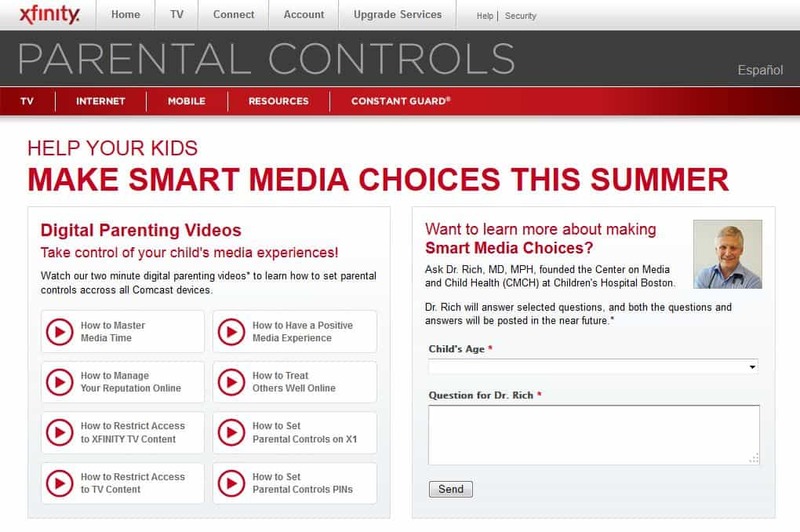 Comcast offers parental controls to help you manage what your kids watch on TV, online and on mobile devices. They offer videos and how-to guides on how to make smart media and technology choices. Comcast Xfinity allows you to set parental controls across all of your viewing platforms…whether its a smartphone, tablet, laptop, computer, or TV. That is really convenient and makes it easy to control what your kids are watching. 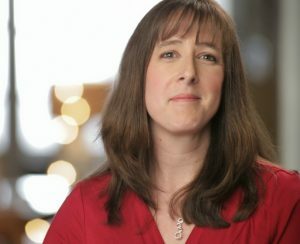 If you are looking for a way to keep your toddler entertained while you wait at the doctor’s office or have an agitated teen who is driving your nuts on the ride to your summer vacation destination, The Comcast Xfinity app is user friendly and has a great variety of shows that require no wifi to watch. Also works great as a backup entertainment source during power outages! I am downloading a few to keep on hand just in case! Comcast Cable Communications Management, LLC, through its contractor, Mom Central Consulting, provided a promotional item as a thank you to the blogger who made this post for participating in this campaign. The opinions and experiences expressed in this post are solely the bloggers opinions, based on the blogger’s experiences and do not reflect any positions or opinions of Comcast Communications Management, LLC. The Comcast Xfinity app looks great - definitely great for on the road, we'll definitely have to look into this! Thanks for the deets! I love that it offers parental controls to keep our children safe from seeing things they shouldn't. Looks like they have a great selection in kids shows and movies, nice! We are huge fans of Comcast but I had no clue I could use it on my tablet!